Here we are again, another February 14th has arrived and the time has come to shower our loved ones with gifts, flowers, chocolates and gastronomic delights. But you can’t bestow upon your dearest beloved the same chocolate dipped strawberries and heart shaped box of chocolates every year! 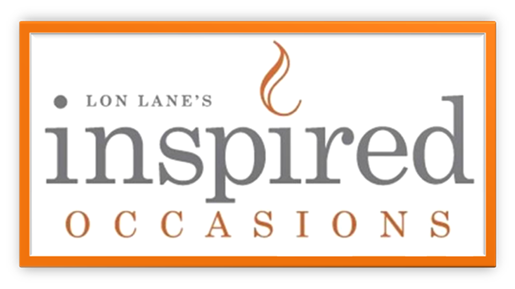 There must be some variety and spice in your offerings, and that is where we here at Inspired Occasions come to your rescue. This Valentine’s Day we venture away from the tried and true, while still staying true to the message of the holiday. Love is in the air, but bliss is on the plate. We start the evening off with a modern twist on the classic strawberry salad. Fresh plump strawberries decorate a mound of tender spring mix greens, topped with toasted pumpkin seeds, shaved red onion and dressed with a warm balsamic glaze vinaigrette. The twist that takes this salad over the top is the addition of a warm Tri color peppercorn and goat cheese mousse. Crushed pink, black and white peppercorns gently folded into the warm goat cheese mousse that drapes over the greens adding a creamy and light textural contrast to the crunch of the peppercorns and pumpkin seeds. The black pepper and strawberries are a natural combination and, this is the next evolution. What would a day all about love be without some pork, roast rack of pork to be precise, but a bit of backtracking to a historical dessert before we continue. Cherries jubilee is one of mine, and my father’s, favorite desserts. The flavors are so intense and bold we decided not to keep them a prisoner of the dessert plate. Introducing our new roast rack of pork with cherries jubilee glaze, wild rice pilaf and steamed broccolini. The glaze is prepared with all the classic flavors with fun twists, cherry preserves and orange marmalade provided the base, black peppercorns brought a spice and bite, rich chicken stock added body, brandy and triple sec added fresh and bright aromas and flavors. After the sauce had simmered for the proper amount of time, we mounted it with a few dabs of butter and ladled it over lovely porky goodness. Savory wild rice pilaf accented with thyme was the perfect companion for the sweet and juicy pork chops. Now for dessert, who says it always has to be chocolate? Every Valentine’s Day sweethearts give chocolate as gifts, eat chocolate at dinner, and sometimes even drink chocolate beer or wine. Enough already! Let’s break this tradition of chocohaulism America, and here is where you can start! Presenting our newest, and one of my recent favorites, grilled caramelized peach with vanilla Greek yogurt ice cream, toasted pistachios drizzled with chocolate (It’s a 12 step program getting over chocolate), and finished with warm dried blueberries reconstituted in honey, triple sec, lemon juice and fresh orange zest. I can’t even begin to describe the flavor here; each bite is like happiness incarnate. The grilled peach is sweet and juicy with a touch of char from the grill, paired with the velvety smooth vanilla Greek yogurt is a match made in heaven. The salty crunch of the pistachios drizzled with just a touch of rich chocolate, (we cannot go cold turkey here), pair perfectly with the pop of the marinated blue berries, warm and dripping with honey and triple sec. The only way to make this better would be to pair it with an ice cold glass of blueberry limoncello…. which we just so happen to have. I recently embarked on a culinary road trip to the great southern city of Austin Texas, a land best described as the last bastion of the counter culture movement in the South. It is my belief that where ever people are pushing the boundaries of cultural norms there will be pools of talented chefs following suit.I was not disappointed, by the people or the food. And so after gorging my way across the city I came home and set about creating dishes inspired by my travels. My first spot of inspiration came from the BBQ scene, specifically the emphasis on “smoke” as a flavor component. Smoke as a flavoring is added to everything; root vegetable chips, bourbon for old fashions, even the desserts get in on the action with vanilla ice cream hit with a dusting of smoked sea salt. While smoke is an amazing additive that brings forth complex and unique flavors, it can become very overwhelming for me, balance is a must! So, I present our first creation: a crisp herb crostini with whipped ricotta and fresh lemon thyme accented with crispy house cured pancetta and cold smoked honey. The lemon bouquet from the thyme permeates the soft and airy cheese and balances the crisp and herbal pancetta bits and the sweet smoky honey. The smoke, acid and sweet is in perfect balance. Just enough smoke to perfume each bite, but not enough to overpower the delicate flavors in the cheese and pancetta. This next dish just screams fall, but has the versatility to adapt to any season. Brussels sprouts were a hot commodity down south, appearing in everything from Thai to Italian. But my favorite use of any cabbage comes from the Irish and their classic peasant dish Colcannon (a traditional dish made with layers of potatoes, cabbage and bacon). While on my early morning walks I found a little Irish restaurant offering an upscale Colcannon with Brussels sprouts which kindled some creative thoughts. After thinking and tinkering I was inspired to create our new grilled sweet potatoes and pan seared Brussels sprout salad, highlighted with whole grain mustard and white wine, and garnished with crispy bacon bits. A huge flavor emerged! The caramelized pan seared sprouts added a depth and complexity that paired beautifully with lightly smoky taste of the grilled sweet potatoes. The crisp white wine was a perfect match for the spicy stone ground mustard, yielding a bright and light glaze. Salad down, time for some lamb! Lamb is one of my favorite meats, rich in flavor and body; it’s a comfort food no matter how you prepare it. But I wanted to bring some new direction to the lamb experience. A different application of the classic flavor profiles was in order. Just imagine this flavor profile: Grilled rack of lamb lightly seasoned with Chinese five spice, topped with an orange, red onion and fresh mint relish, accented with honey, red chili flake, and fresh orange juice. Bright, spicy and refreshing flavors abound with the hint of mint lingering as a cooling aftertaste. The orange relish enhanced the rich, intense flavors of the five spice seasoned lamb while drawing out the sweetness of the meat. Now I saved my favorite for last. The inspiration for this dish came to me from the very last thing I ate before leaving in Austin. In the early morning hours of a beautiful Saturday night/Sunday morning, some new friends took me to their favorite breakfast place, a lovely dive called Magnolias. Here, with great gusto, I enjoyed an amazing late night/breakfast treat. This was my muse to create our newest hors d’oeuvres, green chili corn bread pancakes topped with BBQ beef shank tossed in our Signature Bourbon BBQ Sauce. A green onion garnish completes the flavor profile and adds a spot of color. While the pancakes are very light, the cornmeal provides great texture and the green chilies add the right amount of spice. The tender smoked beef shank brings it all home and the bold flavor of the sauce provides the desired balance. A perfect BBQ bite!